Let’s start with the formation of the locative case (post 1) and then I’ll search out all the things we can do with it (post 2). 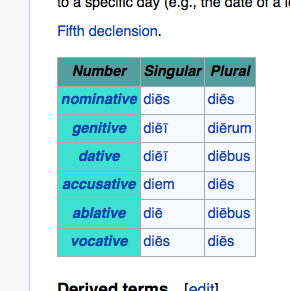 1 —> gen/dat; 2 —> gen/dat; 3 —> dat or abl/dat; 4&5 —> just a few words! Again, this system of relations of place and case forms is distinct from the archetypes discussed in this earlier post. He was absent from Rome: Rōmā abfuit. He left home yesterday: prīdiē domō abiit. She arrived in Rome on the sixth day: Rōmam sextō diē vēnit. I will go into the country: rūs ībō. They will sail from Delos (abl.) to Rhodes (acc. ): Dēlō Rhodum nāvigābunt. There are three hundred statues at Samos: Samī trecenta signa sunt. The temple had been at Athens: Athēnīs aedem erat. Ok, not so famous, and dripping with neo-Latinisms, but it’s got a lot of locatives!